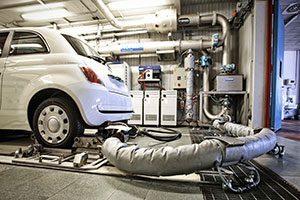 Our auto repair shop is licensed to conduct emission tests. The test includes checking the number plate, emission levels, exhaust functioning and such other basic work. According to vehicle laws and mandates, you need to get your vehicle as well as OBD tested at regular intervals, either by an authorized car dealer, or an inspection station licensed by the state. These checks are done to ensure that your vehicle has minimum harmful emissions, is well maintained and is in proper condition. These tests are precautionary measures to abide by laws and ensure your safety while on the road.